Remaining window frames will now be installed and then glazed in situ. Once watertight, plastering will commence with other finishes and final fit off to follow. 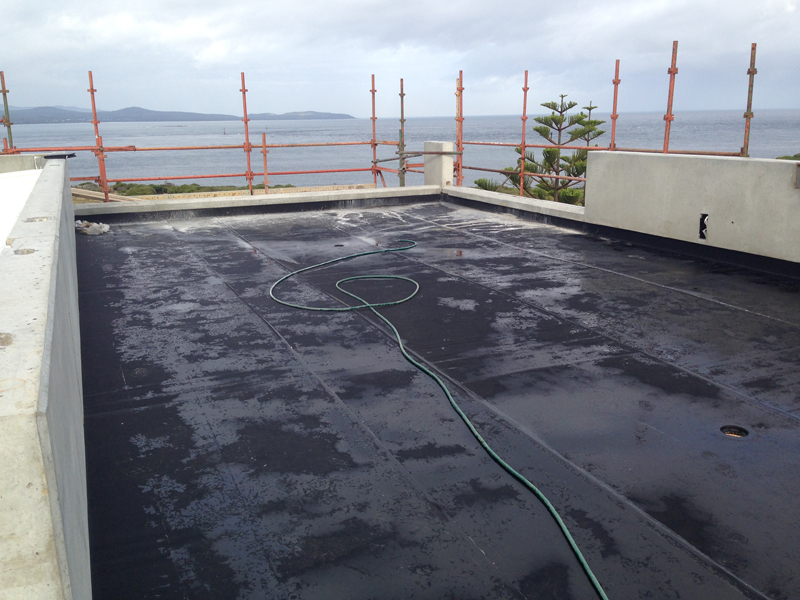 A water proof membrane has been installed to the roof top terrace and will later be tiled over and concealed. In addition to the Butynol rubber membrane, the concrete mix used on the roof terrace includes a concrete additive ( Xypex ) which crystallises and blocks the pores in the concrete rendering it water resistant. 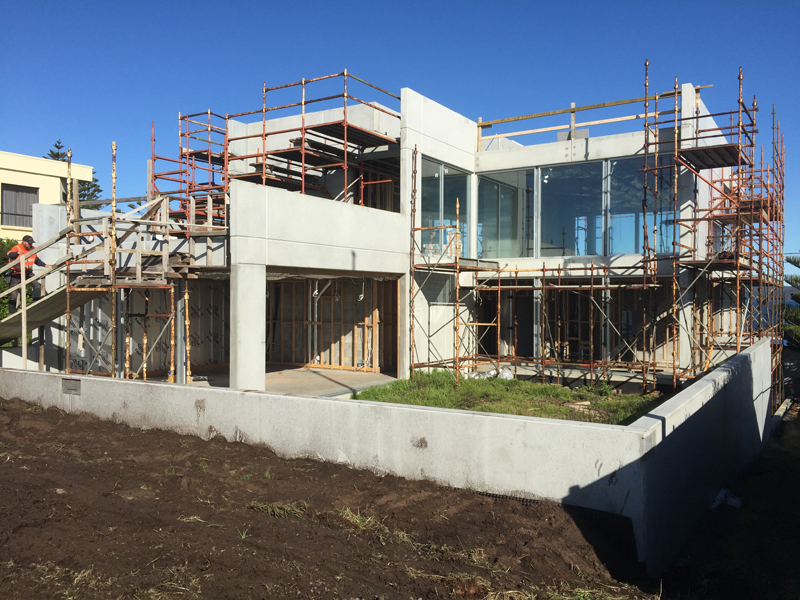 External pre-cast concrete walls which are not exposed have been insulated with extruded polystyrene insulation, which will later be plastered over. The underside of the concrete floors have also been insulated with extruded polystyrene. This is to limit heat loss downwards from the in-slab hydronic heating system. 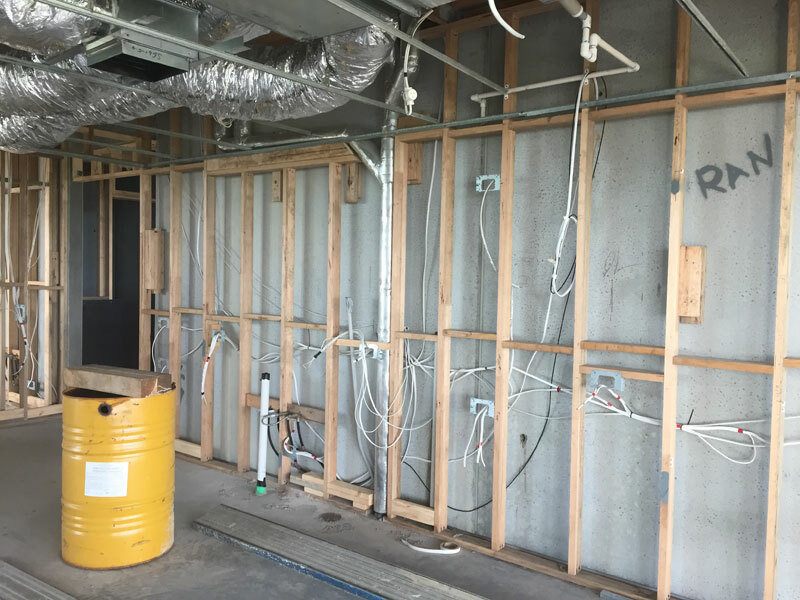 Plumbing, electrical and air-conditioning services have now all been roughed-in prior to plastering commencement. All sewer and storm water pipes have been acoustically insulated to limit any noise caused by water movement in the pipework. 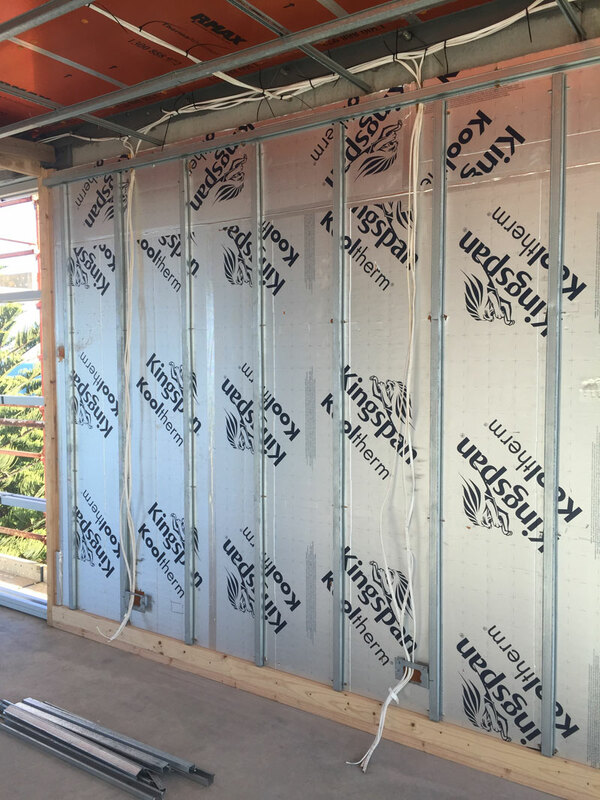 Plastering ceiling framework has been installed to enable installation of air-conditioning duct work. 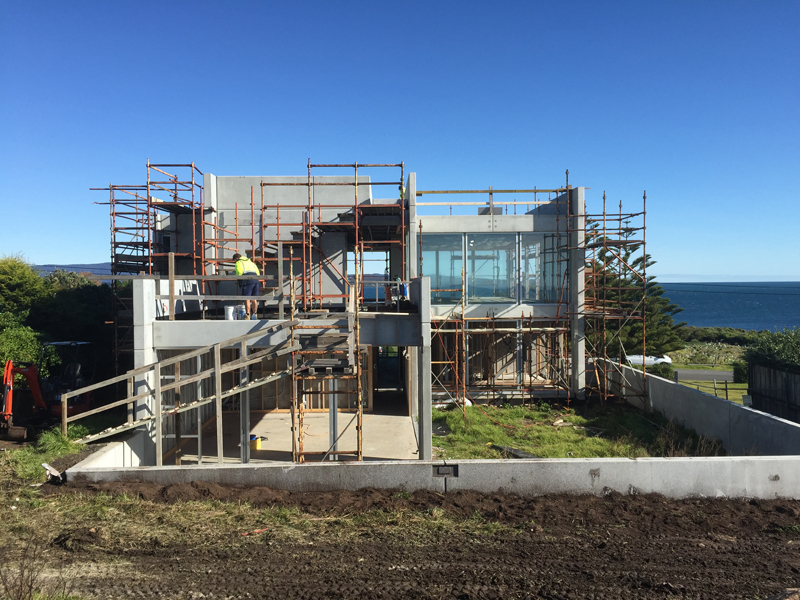 While a hydronic heating system has been installed as the main source of heating in the house, the heat units are also able to provide a cooling function which will be distributed via the ducted system as required. Window installation has commenced and will soon be finished. All windows are double glazed, and are of the maximum double glazing size possible. 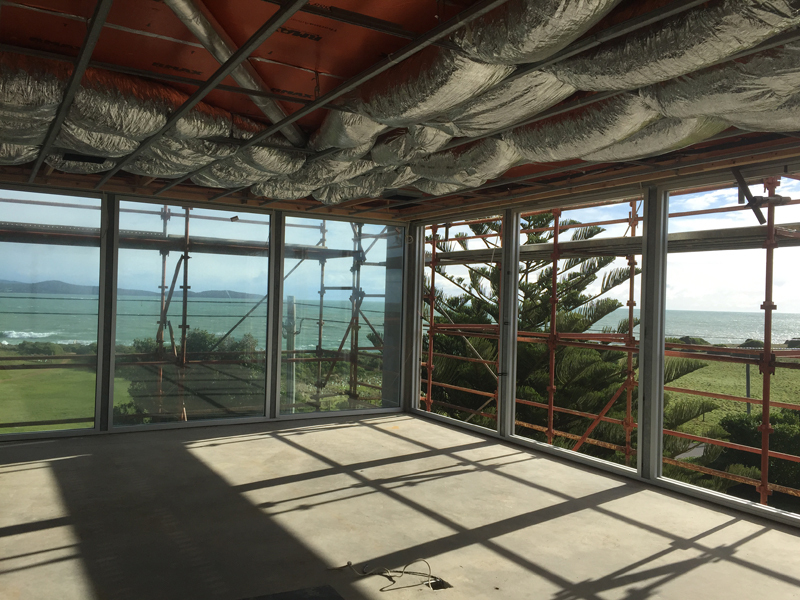 With such a spectacular view, it was paramount to achieving an unrestricted view by utilising the largest double glazed panes possible.